As a child in Vietnam, the closest Nam Nguyen could get to traveling was through a television screen. Today, the 22-year-old college student has studied on seven continents with the help of dozens of scholarships worth $150,000. He studied ecotourism in Antarctica, visited the border of North and South Korea, and took language classes in Germany while living with a host family. Nguyen came to the U.S. with his family and began attending Kentridge High School in Seattle starting his junior year. This year, Nguyen received the 2019 Excellence in Diversity & Inclusion in International Education Award. As part of the university’s McNair Scholars program, he conducts research on what factors lead students to choose a particular study abroad and will help institutions and organizations in program design, he said. Nguyen and Oakley are collaborating with the director of Gender Identity/Expression and Sexual Orientation Resource Center to design a study abroad program for the LGBTQ+ community. If it becomes reality, it will be the first such program at WSU. Nguyen has been to about 30 different countries, but this isn’t what he imagined himself doing when he first came to WSU in the fall of 2015. He switched to business, not quite sure where it would take him, but he said he loves the international aspect of this major. His study abroad experience began in Ireland through a faculty-led program in summer 2016. He has completed 11 programs and is currently in his 12th one living in the Netherlands. He was recently accepted into another program that will again take him back to Antarctica. In preparation for his first trip there, he took an online course to learn about the birds, whales and icebergs and then finished off the term by spending two weeks there. Nguyen said they had to take a ship from the town Ushuaia at the tip of Argentina through the Drake Passage. He studied ecotourism while there and wrote a 37-page report. “After coming back, I felt (more) awareness about the environment around me,” Nguyen said. He learned how important it is to be educated about Antarctica before going on the trip and the potential harm to wildlife that will occur if certain rules are not followed carefully. One of the nights in Antarctica, the group slept on the shore. They used regular sleeping bags with a thin blanket and a foam pad inside. 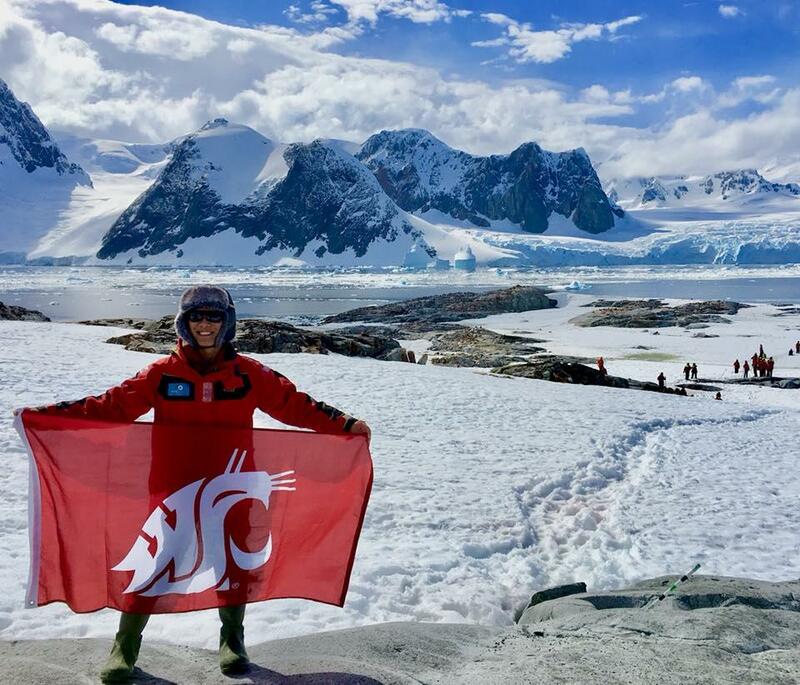 During his next trip to Antarctica, he will do an independent study on how going to Antarctica impacts a student’s mindset and attitude toward the surrounding environment. In January, Nguyen presented his findings at a TED Talk in Hanoi, Vietnam. Following college, Nguyen wants to continue his research but keep his options open. Graduate school is a possibility, but he wants to think things through as much as he can to assure it’s the right decision. This summer, he has an internship lined up with BP oil company in Chicago. Published: April 4, 2019, 5 p.m. Updated: April 6, 2019, 5:30 p.m.